Joe. My. God. : Ted Cruz Tops Breitbart "Primary"
In June, 55,000 people voted in the Breitbart Primary, and they preferred Sen. Ted Cruz (R-TX) and Wisconsin Governor Scott Walker to win the GOP’s 2016 presidential nomination. 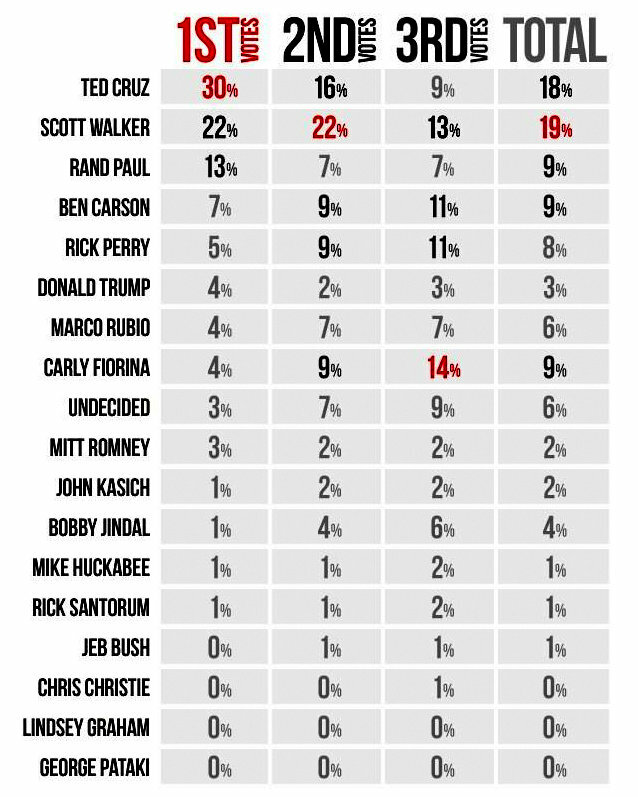 In June’s inaugural Breitbart Primary poll, Cruz finished first nationally (33%)–and in each of the first three nominating states–with Walker (23%), who has yet to declare his candidacy, right on his heels. Sen. Rand Paul finished in third with 10%, followed by Dr. Ben Carson (7%), former Texas Governor Rick Perry (5%), businessman Donald Trump (4%), former Hewlett Packard CEO Carly Fiorina (4%), and Sen. Marco Rubio (4%). Breitbart will repeat the poll every month until the GOP convention.